Waiting in line is probably everyone’s least favorite part of a Disney World vacation. But you can avoid a lot of waiting with the Disney Fast Pass service! I’ll answer all of your questions about FastPass planning and show you how to get the most out of your Fastpasses in this post. Fastpass (aka Fast Pass or FastPass+) is basically a ride reservation system that allows you to reserve access to certain rides, shows, and character meet-and-greets in advance. With the right planning, you can avoid long waits at Disney World’s most popular attractions. You can choose your FastPasses up to 60 days before you arrive if you are staying at a Disney resort hotel, or 30 days if you aren’t. I know this might sound crazy if you are new to Disney FastPass… you mean I have to decide what I am going to ride and when I’m going to ride it two months before I go??? You can only select three FastPasses per day in advance. So you only need to pick a handful of attractions that you really want to experience in advance – everything else you can decide when you’re there. You WILL appreciate your advance planning when you are walking on to a ride that others are waiting TWO HOURS for! It makes your visit so much more enjoyable. It’s possible to make changes to your FastPasses on the go with the My Disney Experience mobile app or at kiosks in the park. I often make changes to my FastPasses on the same day while I’m in the park. Next, I’ll give you all of the details on selecting and using Fast Pass at Walt Disney World. Yes! There is no cost to use the Disney FastPass service – it’s totally free. Universal Studios does have a “front of the line” pass that you can buy for $99, so some people mistakenly think Disney charges for this service. Before you can make any FastPass selections for your trip, everyone in your party must have a theme park ticket linked to their account (unless you have a child under three who doesn’t require a ticket). If you bought a Disney World package, this is already done. If you bought your tickets elsewhere, you will have to link them yourself. If you didn’t get a package I recommend buying discounted tickets from Undercover Tourist and linking them to your account – it takes less than five minutes and you’ll save up to $71 per ticket! When your booking window opens up (which is at 7 am EST either 30 or 60 days in advance, depending on where you are staying) you’ll start by finding the Fast Pass area in either the Disney website or app. Then you’ll select which park you want to visit on the first day of your trip. You can only make FastPass reservations at one park per day. This is true even if you have a Park Hopper ticket that allows you to visit more than one park per day. After you use your three FastPasses you can make additional ones from what is available (and sometimes that’s not much). When you select a FastPass time for an attraction, your time is actually the start of a one-hour window during which you can use your FastPass. For example, if you selected the 5:40 pm FastPass for Frozen Ever After, you’d be able to use the pass any time between 5:40 and 6:40 pm. You can not have a FastPass for another attraction that overlaps that window at all, so that makes planning a little tricky. Next, I’ll explain how to use your FastPasses and show you which attractions offer FastPass. Your FastPasses are stored in your My Disney Experience account. You park ticket (or MagicBand if you have one – get the details on them here) is essentially a link to your account. To use a Fast Pass, just go to the attraction during the hour window and find the FastPass entrance. You will scan your park ticket or MagicBand there on a Mickey icon which will turn green if your FastPass is valid. You’ll then get to experience the attraction with A LOT less waiting – though do expect that you will wait a few minutes for most rides. FastPass isn’t available for every attraction at Walt Disney World, but it is available for most of the popular attractions that build long lines. Recently Disney divided attractions into “tiers” at all of the parks except Magic Kingdom. This means that you will be limited to only one FastPass from the “Tier One” attractions at Animal Kingdom, Epcot, and Hollywood Studios. The FastPass scene at Hollywood Studios changed dramatically when Toy Story Land opened in summer 2018 (get my tips and tricks for Toy Story Land here). Here’s what your options will be then. As you can see, there are LOTS of options for your FastPasses! Next, I’ll cover which attractions you should consider using FastPass for and which you shouldn’t. What Attractions Should I FastPass? This is when you will have to do a little research into what attractions will be most appealing to the people in your group. What’s nice is that everyone in your party DOES NOT have to have the same FastPasses. You can split up and hopefully prioritize what’s most important to everyone in your group. I suggest checking out the attraction descriptions over at Undercover Tourist if you are totally new to the theme parks. If you click the link to an attraction on these pages you will get a description that includes a rating, suggested age range, and height requirement. 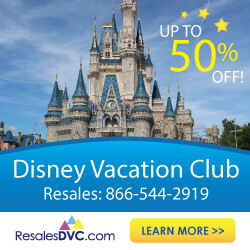 Or you can invest in a good old-fashioned guidebook and read about all of the attractions – I suggest The Unofficial Guide to Walt Disney World 2019. I have to also note that there are some attractions at Walt Disney World for which the waiting area (aka “standby queue”) is truly part of the attraction experience and needs to be experienced! What attractions you decide to FastPass will depend on what you most want to see and do in the parks. One thing is for sure – you won’t be able to do everything (I still haven’t and I’ve been 30+ times) so you will have to select which attractions you most want to experience. Seven Dwarves Mine Train – the most popular attraction at Magic Kingdom. Lines build VERY quickly in the morning so get a FastPass if you can. At least one character Meet & Greet – the lines for these are SO long and slow moving so I strongly suggest getting a FastPass for the one you don’t want to miss! The Princess Fairytale Hall meets are incredible. Peter Pan’s Flight – always has long lines (which people sometimes don’t expect) but it might be the most magical four minutes of your trip so don’t miss it! One of the other “mountains” – if you can’t get a FastPass for the Seven Dwarves Mine Train get one for another mountain – Space, Big Thunder, or Splash – whichever interests you the most. Soarin’ – My favorite attraction in the park. I ride it every time I’m there with a FastPass. Frozen Ever After – I usually try to ride this first thing in the morning without a FP, but you could get a FastPass for this (they are hard to get) and head straight to Soarin’ instead. Test Track – this high-speed attraction often has long waits. If your kids are old enough to ride separately from you (at least 7 years old) then you could also use the Single Rider Line. Character Spot – gets VERY long lines and you can meet Mickey, Minnie, and Goofy, so it’s perfect for a FP. Kilimanjaro Safari – another boring queue with long waits so I always FP this attraction. Expedition Everest – if you’ve already experienced the queue or are visiting during a very busy time you’ll want a FP for this coaster. Also has a Single Rider Line. Mickey & Minnie at Adventurer’s Outpost – meet them in their safari outfits. Gets long lines and FastPasses are rarely available the day of. Slinky Dog Dash – This family coaster gets the longest waits so use your Tier One FP on this one. Rockin Roller Coaster – Do NOT miss this if you love coasters! It is the most thrilling attraction in all of Disney World by far and I always try to score a FP to avoid a long wait. Star Tours – the wait can get long and you get to see all of the cool stuff in the FP queue so it’s a good use of a FP. Hollywood Tower of Terror – another not-to-be-missed attraction that can get long waits so it’s a good use of FP. To help with your planning, I’ve created a 2019 Disney FastPass Planning Cheat Sheet for my email subscribers. You can sign up below and get your cheat sheet immediately! Ok, now on to making your reservations! You can calculate the day your FastPass window opens with this date calculator. Never make Fastpass reservations for the first hour the park is open! If you arrive before the park opens you will be able to walk on most attractions (except for the most popular ones) during the first hour. If you are visiting during a less-crowded time of year (most dates in January, February, September, and end of August) then you can expand this to the first two hours. If you have a Park Hopper ticket and are switching parks, consider getting FastPasses for the second park you are visiting. If you get to the first park early you can do lots of attractions with little wait, then head to the second park and use your FastPasses when waits are long. Don’t plan a FastPass after a meal time if it will make your rush to finish your meal. Nothing ruins your $200 dinner with the princesses like dashing out early to get to your Frozen Ever After FastPass! Here’s a trick that will pretty much guarantee you’ll get these – but you do need to have a reservation at a Disney World resort. If you are staying on-property you get to book FastPasses for your entire trip 60 days before your check-in date. 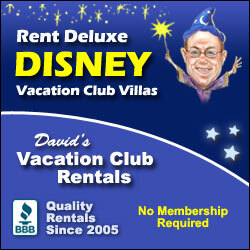 You can book for as many days as you have park admission and are staying at your resort. So if you want one or more of these hard-to-get FastPasses, make plans to do these attractions towards the end of your trip. There will be more Fast Passes available later in your trip since many people aren’t aware that they can in fact book more than 60 days in advance. 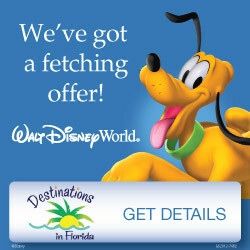 For example, if you are staying 5 nights with 5-day tickets, plan to visit Hollywood Studios on the last day or two of your trip and grab a Fast Pass for Slinky Dog Dash on the first day you can make reservations. You’ll get all of the Fast Passes you want this way! You can make changes to your FastPasses at any time on the Disney website or in the app. You can adjust the time to make another FastPass work or change attractions. Just be careful that you don’t accidentally cancel a FastPass – once they are gone there might not be any getting them back! If you are in the parks you can also make changes at one of the many FastPass kiosks. Just ask a cast member for directions to the closest FastPass kiosk or consult a park map. Can I Get More Than Three FastPasses? After you use your first three Fastpasses you can get additional FastPasses one at a time, if they are available. Here;s how to do it. After you’ve used your third FastPass, open the My Disney Experience app. You can make one additional FastPass at any park – not just the one in which your first three Fast Passes was in! This is especially helpful if you are park hopping (i.e. moving over to a different park). You can actually make another FastPass reservation as soon as you’ve scanned your Magic Band or ticket for your third Fast Pass. Since you often have to wait a few minutes to actually get on the ride and can make another one while you are waiting! If there is a FastPass available soon, grab that one because you can make another reservation as soon as you’ve checked in for that one. You can keep making one FastPass at a time until they are all exhausted. I’ve used this strategy to get as many as seven FastPasses in a day. I’d bet you could get even more if you are visiting during a less-crowded time and if you really set your mind to it! When Can I Start Making My FastPass+ Reservations? If you are staying at a Disney resort, you can start making your FastPass+ reservations at 7 am EST 60 days before the day you check-in for your reservation. You can make reservations for your entire stay, though you will have to have a park ticket for the right number of days for which you want to make reservations. You don’t have to make any Fastpass reservations for the day you check-in, either. You can choose to make reservations for the day after, but your window still opens 60 days before the date you check-in. If you are staying off property, you will have to make them day-by-day for each day of your trip, starting 30 days before your first park day. For example, if you want Fastpass for April 1st, you can make your reservations for that day on March 2nd. Your window will also open at 7 am EST. Here are some tips and tricks for having the best possible experience with FastPass at Walt Disney World! If you go to use a FastPass and see that the wait time is manageable, get on the app before you can scan your MagicBand or park ticket and swap it out for something else! There is actually a grace period for your FastPasses that starts five minutes before the official time and ends 15 minutes after the window closes. I have tried this out myself (many times actually) and it has always worked for me. There is a way to see all of the current FastPasses available for all of the attractions at once at the Touring Plans site. You can see what is available at a glance for up to 70 days in advance! This is an awesome tool for planning your FastPasses. I hope this post helped you understand how to get the most of the incredible Disney Fast Pass system! Any questions about your Fast Pass planning? Leave a comment below or join our community over at The Budget Mouse Facebook group. Thank you for the awesome tips. I did not realize that you could see the fastpass availability on the Touring Plans site! Thanks Leah! After reading this, I think I’ll add Living with the Land FPs to our Epcot day. :) We plan on rope-dropping (is that a verb?) Frozen and then leisurely working our way over to Soarin’, which we have fastpasses for. Can’t wait to see the beautiful flowers and topiaries and enjoy the food kiosks!! You are going to have SO MUCH fun on your trip, Laura! I think rope-dropping is a verb, of course. Soarin Fastpass is a must! I’m already signed up for the newsletter. How can I get the updated, 2019, printable? Thanks!